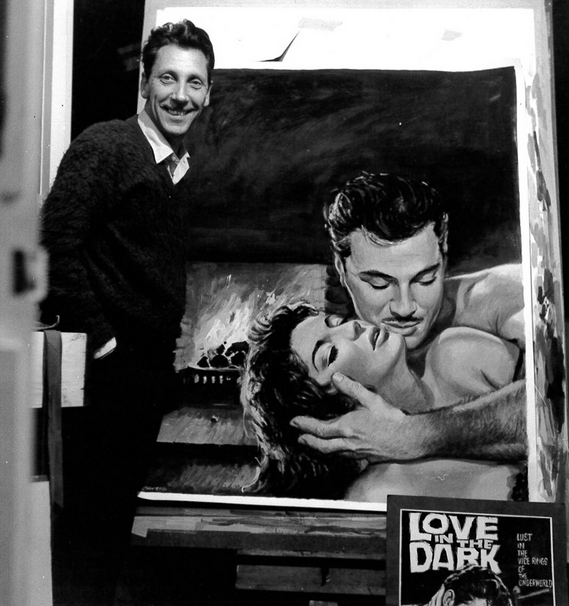 From his iconic Star Wars poster to the Italian rip-off Star Crash, from Russ Meyer to Hammer and from Golden Age Hollywood to grindhouse era sexploitation, the late British artist Tom Chantrell painted nearly every type of movie poster imaginable during a career that spanned 50 years. He lent his talents to more than 7,000 designs, putting his brush to Steve McQueen, Paul Newman, Marilyn Monroe and John Wayne. I had no inkling of just how many of my favorite film posters Chantrell was responsible for until I recently stumbled upon a retrospective of his genre work on the excellent blog Horrorpedia. I’m also seriously considering tossing $100 toward Chantrell Poster, a site associated with Chantrell’s family that sells both posters (reasonably priced) and original painted canvases (a little more costly) from Tom’s personal collection. Check out the selection here. Or continue onward for a vast gallery of Chantrell’s work.